Since then we've had considerably more time to experience the A7, and its 24-megapixel sensor - the same base unit as found in the top-spec Sony Alpha A99 SLT - in full. Exploring the sunny climes of St Lucia, we've put the camera through its paces: bright sunlight, early morning sunrises, low-light street parties, rainforest downpours and much more. The question is whether this camera can deliver delights far bigger than its diminutive size? Has Sony engineered a masterpiece and opened the doors of the full-frame market to the eager masses, or does it fall short in its first attempt? With a variety of lenses in tow we've been shooting our way through hundreds of shots to find out. Some will wonder why the Alpha A7 is named as such, it is a compact system camera after all. What's happened to NEX? As we touched upon in our initial A7 hands-on, the NEX brand has hung up its coat. But underneath that discarded namesake is another familiar one: Alpha. And Sony's compact system cameras now fall under this remit. If you're new to the camp Sony then you might be left wondering about lenses and what this means. 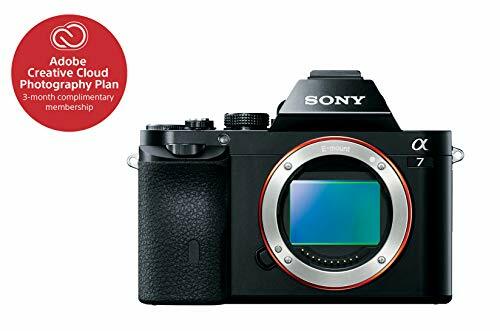 The Sony E-mount remains in play, which caters for existing NEX models and, as is the case with the A7, adds additional "FE" lenses for the larger full-frame sensor. There aren't many of the latter as yet, however, with only the 24-70mm f/3.5-5.6 and 35mm f/2.8 up for grabs at launch. The 55mm f/1.8 isn't far behind, and there are more coming, including a 28mm prime. But that's how it is in the here and now. Sony also continues with the A-mount, the Minolta-fit lens system that's always been there for the company's DSLR and DSLT cameras. If you want to use these on the A7 then you'll need an adaptor - we've been using the LA-EA4 adaptor which comes complete with autofocus sensor built into it, so there's no fallout in autofocus speed - for cross-compatibility on the A7. Nice touch. That's the lens outlook in a nutshell. But back to the camera: the A7 is a sturdy wedge of magnesium alloy and no corners have been cut. And you can take that in the literal sense: it's an angular, brutish looking beast of a camera, largely because of the would-be-prism space to cater for the viewfinder at the top. However, we think it looks rather cool. It errs on the side of functional, but there's something contemporary about that angular design. It's small and light for a full-frame model - roughly 127 x 94 x 48mm in size at its widest points and a mere 416g for the body only weight - which is a huge point of appeal. Can't knock it for that. Add dust and water resistance - it's survived numerous beach shoots and tropical downpours without flinching - a tilt-angle LCD screen that no other full-frame model on the market offers, and a super-sharp 1.23m-dot OLED electronic viewfinder and there's not much missing. Except, that is, for a better battery. Because the Alpha 7's battery life is poor to say the least. It's down to all that work it's doing in providing electronic blood-flow to the big sensor while maintaining electronic screen and viewfinder previews. We're definitely disappointed by the lack of shots per charge - we were going through three batteries a day no problems. But not all is lost. It's just a battery, right? You could buy the optional battery grip to double up on the juice - although that then bulks out the design, which may or may not be to your tastes and, to us, feels like a distraction against the camera's small size - or you could simply buy additional back-up batteries via Sony. We relied on the latter solution: one battery in camera, one spare in each pocket, left and right. Wi-Fi and NFC is built in for picture sharing via Sony's PlayMemories app, which we weren't able to test while overseas, but works just fine in other Sony camera products. It's one to avoid if you want to conserve that precious battery life though. When compact system cameras came around their concept was about keeping physical size down while embracing now technologies. A true digital camera for the digital age. That concept might be more blurred now more than ever, but even the Sony E-mount FE lenses are smaller scale than an equivalent full-frame DSLR's lenses. Add to that a small body and the full camera system is small in size, yet doesn't scrimp on the technology front. There's a general fear that a compact system just won't compare to a DSLR. But, in many areas, that's just not true any more (ignoring the battery issue for one moment). Take the A7's hybrid autofocus system, for example. The camera introduces a new hybrid autofocus system with 117 phase-detection areas, alongside 25 contrast-detect points. It's really fast. A million miles beyond a compact camera and, when set to single autofocus (AF-S), it makes for a truly rapid system when shooting. If there was a way to improve it, it would be down the pinpoint accuracy. Take the Panasonic G-series system as example, which via its Pinpoint AF option offers up a crosshair that zooms in to 100 per cent on the screen, acquires focus and - snap - you've got it bang on the money. However, the A7 is the first Sony Alpha camera to offer up variable focus point size. It can be toggled from small to medium and beyond with relative ease - we opted for the smallest the majority of the time - in order to focus in on a specific area or wider generalisation. Thing is, even at its smallest we found the occasional inaccuracy: green AF box says area is in focus, but upon looking at the final image the focus is a little further back where a greater point of contrast was available. For wide-aperture shots manual focus override with focus peaking switched on showed up white or colour peaks to represent the in-focus areas - which was really useful and a great way of using a prime lens. We also found that low-light further limits the specific focus options that the camera can handle: it'll just throw up a dotted-line green box around the majority of the scene - a long time Sony issue - rather than honour the specific AF area you've selected. We get why it does it though, it's to avoid non-focus or missed focusing by allowing the camera to look at the wider scene to get a result. And that's the thing: you'll still end up with a shot that, generally speaking, will be focused at the point of contrast. Upon first use the Alpha 7 default menu system feels a little fussy and there's no touchscreen. The layout is easily adjusted, however, as the A7 offers up full customisation: it's possible to assign controls to almost every rear button, including the rotational d-pad. That's great to get quick access to the manual focus point position, for example, even if it does happen to named a rather misrepresentative Focus Settings from within the menus. On top there's a custom button to the side of the shutter that's useful to set to handle your most commonly accessed setting. The overall user experience is good, with only a few small bumps in the road. The A7 might not be a super-speedy snapper either - the 2.5fps on the spec sheet makes that clear from the off - and continuous autofocus isn't as specified as a DSLR's 3D tracking system, but then we've found the camera to be a marvel for other reasons. Take the vari-angle LCD as one. Now we know many might shrug this off as nothing, but we're realised lately just how often we use such a feature. It's ideal for low-angle or overhead work and the number of times we've rested the camera on the ground due to lack of a tripod made it an essential. When not using the rear screen the electronic viewfinder comes into its own. There's often a stigmatism attacked to electronic units, but we rarely noticed that the A7's electronic nature was a negative. It just worked. Minor criticism, and it's one we have with all electronic finders, is a slight delay in readying the panel for the eye. Unless you turn the rear LCD off and leave the EVF on at all times from within the menu setup. But otherwise this is as good as electronic viewfinders come. When it comes to image quality the Alpha A7 can be a bit of a double-edged sword - but make the right lens choice and it's a great camera. With the 28-70mm f/3.5-5.6 kit lens attached we immediately felt it to be a "standard kit lens", not least because of the so-so aperture range, but more because of edge sharpness issues. But that doesn't mean you can't take great shots, as this ISO 50 (extended) long exposure below goes to show. Centre-sharpness is good, but at wide-angles you'll fall into sharpness issues that aren't limited to the outermost edges; it's a bit to excess. Therefore we'd recommend avoiding the 28-70mm, even if its kit availability makes it seem like an obvious choice. Having plumped for the 35mm f/2.8 Zeiss lens afterwards we got to see what the A7 was all about: superb quality. Yes, that's a £700 lens, but go body-only and add it on and you've still got a superb sub-£2000 full-frame camera combination that easily gives any other affordable DSLR a run for its money. Don't, therefore, underestimate the importance of the lens. We've been fortunate enough to experiment with all kinds of alternatives too - from shots less sharp than we'd anticipated from the Alpha 100mm macro, to impressive results from the Canon 24mm f/2.8. Yup, a Canon lens on a Sony via a Metabones adaptor that we didn't hold high hopes for, but that was actually brilliant and proves the Sony can handle wide-angle sans softness. It might also prove that full-frame on a budget is a bit of a myth. Inherent image quality from the A7 is otherwise relatively similar to the Alpha A99, and no surprises given it utilises the same base sensor. This is both a good and bad thing as it delivers good quality at the low-mid ISO sensitivities, but isn't the best full-frame sensor for low-light by any stretch. With the likes of the Canon EOS 5D MkIII out there - which is admittedly far more cash, and a lot bulkier - the A7 certainly has competition. But the competition just isn't near this price point. All things relative, we think the image quality, therefore, is fantastic. With that 35mm f/2.8 lens on the front, and half way up Gros Piton mountain on the south side of St Lucia, we snapped a local canine who had eagerly followed us some 800ft up. ISO 125, stacks of detail in the fur, lovely shallow depth of field with fixed focus on the eyes - it looks great. Much the same can be said for the ISO 200-400 sensitivities, although the JPEG files do come across a little "dense" in their processing: there's subtle grain visible in mid-shadow areas, most noticeable in the out of focus areas. Just like the A99, then. It adds character to the shots, and isn't a problem - there's no colour noise to speak of - while raw files add an extra lick of sharpness if you want full control. Shoot wide-angle, however, and those raw files will also show up more chromatic aberration - shown as purple fringes to subjects' edges - towards the edges of the frame. Easily fixed, but they're still there. What's perhaps most noticeable about the untouched raw files is how they don't compensate for the 28-70mm lens' distortion - the JPEG equivalents are significantly adjusted in camera, and that won't help for sharpness purposes. More and more we were pushing the zoom lens out of mind. Move further up the sensitivity and we found even four-figure ISO sensitivities were of ample quality. We'd happily shoot at ISO 1600 at full quality with no real qualms, even if detail is slightly less prominent come this point. Even ISO 3200 retained enough rainforest detail, though, and that's the power of full-frame. Push to ISO 6400 and the camera reaches its threshold in our opinion. Not ideal for colour shots, as the colour palette looks more washed out and mute, but we were able to shoot some excellent high-ISO snaps at the Jump Up street party in Gros Islet, using the in-camera black and white mode. There's grain, for sure, but in monotone there's no colour noise to worry about and bags of appealing character. However, the JPEG processing does mean we'd opt for the raw file's full grain and convert to mono afterwards in post production. In short the Sony Alpha A7 has a lot of potential. Ditch the 28-70mm, avoid the very highest of ISO sensitivities and prepare to be impressed. Big image quality from a small scale is here - and that's exactly what will sell the camera. The Sony Alpha A7 is a mini marvel with a big point of interest: that full-frame sensor. At £1,299 for the body only, this is as affordable as large-sensor snapping can get, and it could open up a whole new set of interest from more casual photographers, as well as pros looking to obtain a smaller system to work with. It's not perfect, though, but most of the shortcomings we can forgive because each time we go and look at the images again they make us smile. However the battery life is really poor, so be prepared to invest in multiple batteries - and if you don't like the idea of that then this probably won't be the camera for you. The 28-70mm kit lens is a weak link, too, because of soft edges to excess at the wide-angle setting. Avoid it, nab the 35mm f/2.8 prime and you'll quickly begin to grasp why the Alpha A7 is as special as we'd at first thought: it's small and will make a great street photography camera alternative if something like the Fujifilm X100S doesn't take your fancy or the Nikon Df looks too big and pricey. But it's more than that: we've shot some spectacular landscapes, portraits, candids and everything in-between. There's versatility here, and that will grow as the E-mount FE lens system expands. The Alpha A7 is a camera out there all on its own. It doesn't feel quite comparable to a full-frame DSLR, but we mean that as a positive. It's a different system, with a different ethos and, combined with the right gear, it'll bring you one thing that's the same as any other system worth its salt: glorious full-frame pictures.